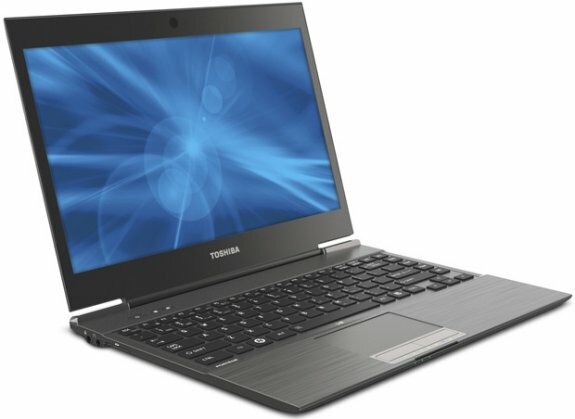 The Tech Report noticed Toshiba introduces the Portege Z830 at IFA 2011 in Berlin. This system is a 13.3" ultrabook, it will arrive in November for just under $1,000. For the most part, the Portege looks like pretty standard ultrabook fare. Toshiba has added a dash of spice here and there, though. The 13.3" display may sport the usual 1366x768 pixel density, but the screen itself has a matte coating rather than a layer of gloss. Then there's the chiclet keyboard, which is both LED-backlit and spill-resistant. Engadget says the keys are satisfyingly clicky, too. Although the metal body will no doubt invite comparisons to Apple's design aesthetic, it's a magnesium chassis rather than the usual aluminum. Toshiba's official press release mentions an "enhanced Honeycomb Rib" that provides extra shock protection and rigidity—for your pleasure, presumably.